Gurl, is your body from McDonald's? Because I'm loving it. Several weeks ago, trendy, fast fashion retailer Forever 21 dedicated a new Instagram account to its plus-size shoppers called Forever21Plus. Seems innocent enough. 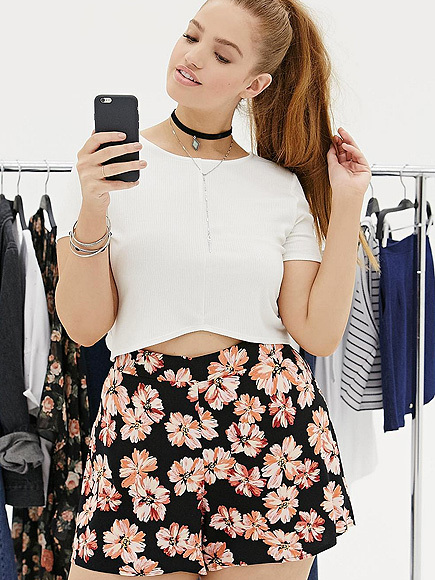 Not all shoppers look alike, and if you’re not a size 2, it’s nice to see your models with your body type. Forever 21 kicked off the account with Ashley Graham, Sports Illustrated’s first-ever plus-sized model. The models of today look like they need to forget the salad and mix in a sandwich. These women look, well, normal. The days of Botox-filled, Collagen-puffed, tummy-tucked, stick women are over. “We always appreciate our customers reaching out when they have a concern and therefore have removed some of the images and are working to ensure all of our future posts accurately represent the Forever 21 Plus customer. Unfortunately, at the moment, that shape is a big zero in terms of the PR support Forever 21 is getting.